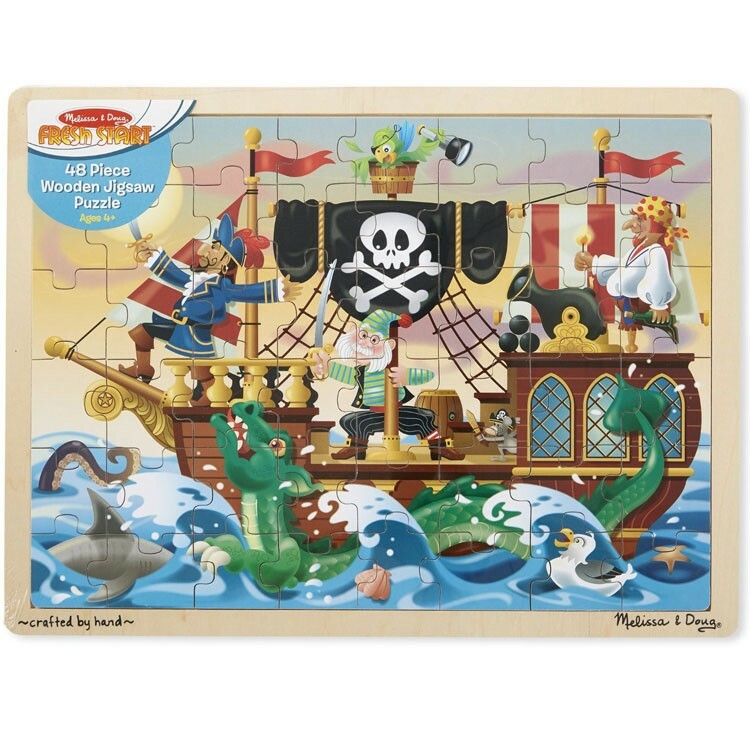 Create an exciting pirate picture complete with a pirate flag, sea monsters and a ship as you assemble this pirate wooden puzzle by Melissa & Doug! Argggg! Avast me matey, I think it be time to complete a puzzle! Pirate Adventure Jigsaw 48 pc Wooden Puzzle by Melissa and Doug comes with solid wood pieces, making it easy to create a wonderful pirate image in no time! 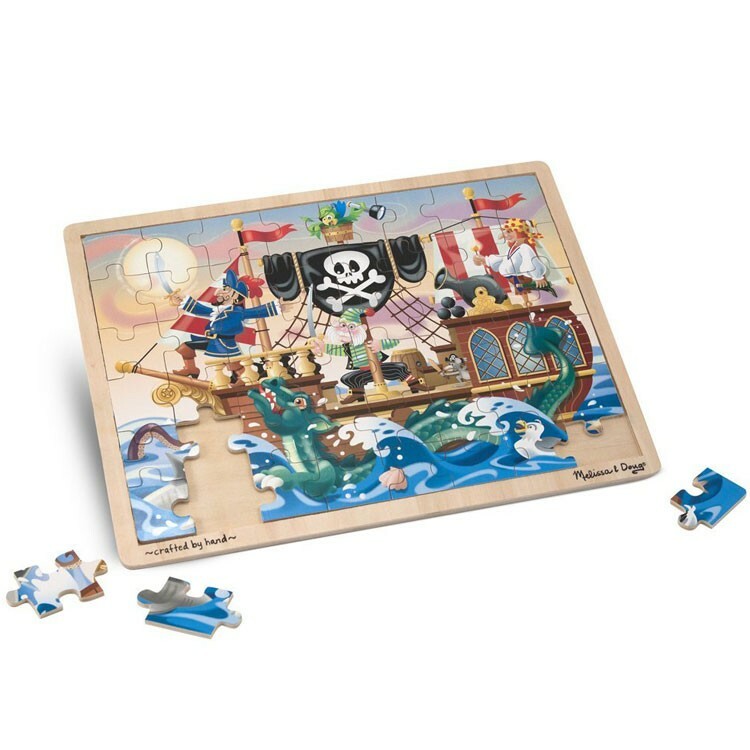 The pirate puzzle also comes with a wood tray to fit your jigsaw into! Create an exciting pirate picture complete with a pirate flag, sea monsters and a ship! 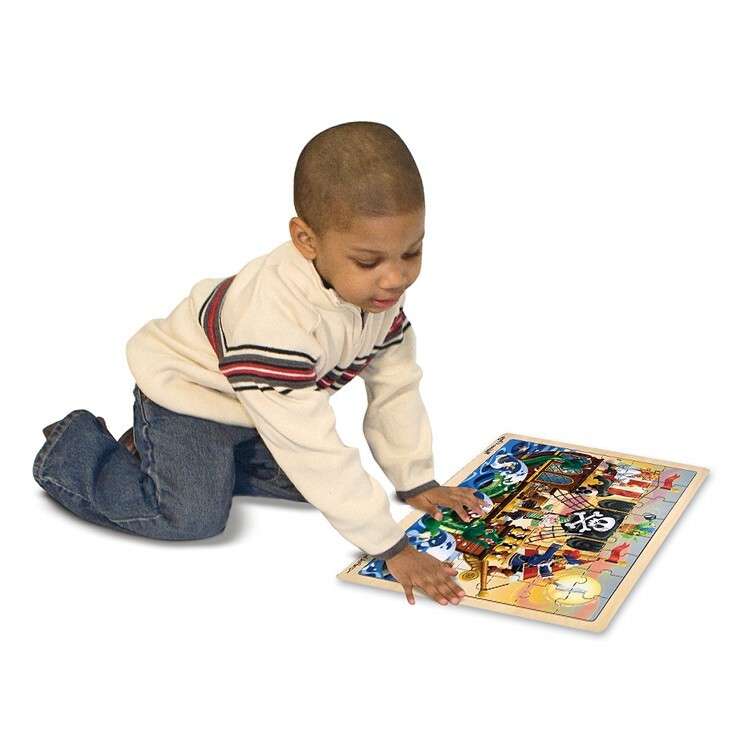 Pirate Adventure Jigsaw 48 pc Wooden Puzzle is great for any young adventurer and perfect for a rainy day in. Learn useful matching skills while admiring the brightly colored scene! Pirate wooden puzzle from Educational Toys Planet is great present for your young pirate. 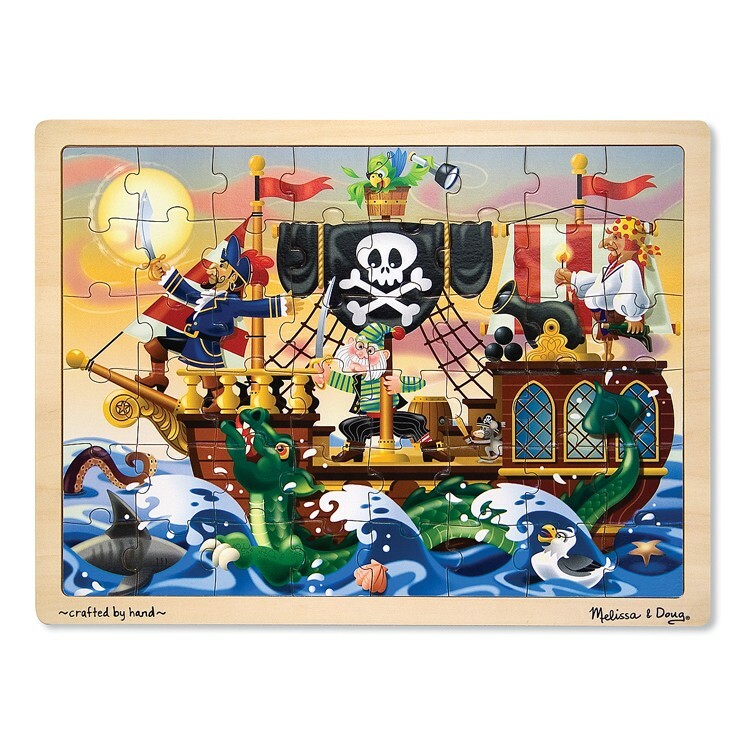 Dimensions of package 11.8" x 0.5" x 15.5"
Write your own review of Pirate Adventure Jigsaw 48 pc Wooden Puzzle.